Now that a second case of Ebola has been confirmed in the United States, federal health officials are revisiting vaccines and experimental drugs that can help prevent and treat the highly fatal virus. But one NIH official says we might have had an Ebola vaccine already — if it weren't for budget cuts that drastically slashed funding for research. If it weren't for these cuts, the 2014 global Ebola outbreak may be playing out differently. NIH has been working on Ebola vaccines since 2001. It's not like we suddenly woke up and thought, 'Oh my gosh, we should have something ready here.' Frankly, if we had not gone through our 10-year slide in research support, we probably would have had a vaccine in time for this that would've gone through clinical trials and would have been ready. ... We would have been a year or two ahead of where we are, which would have made all the difference. So, how much funding has been cut from the NIH over the years? Well, it's not like the NIH has seen its funding completely slashed, but that the federal health institute's budget has remained stagnant for the last decade. While the NIH budget has been steadily increasing since 1990, it flattened out by the early 2000s. Now, the NIH budget has been in a steady decline, though the budget is still higher than what it was two or three decades ago. For example, NIH subdivision National Institute of Allergy and Infectious Diseases (NIAID), which works on viruses like Ebola, had around $4.3 billion in funding in 2004, compared to $4.26 billion in 2013, according to NIH budget records. The NIAID budget peaked at $4.8 billion in 2010, and has been at a steep decline since then. Overall, the current NIH budget appropriated by Congress hovers around $30 billion. More than 80 percent of the institute's funding is given to researchers in the form of grants — which means even just a slight increase could be huge for health and science. A recent NPR report found that a 20 percent funding increase for the NIH could lead to an 80 percent increase in grant funding for medical researchers across the country. That means more studies, more clinical trials and, possibly, more results. Of course, the problem is funding has been withheld from the NIH because of the sequester. In 2013, Congress took away $1.5 billion in funding from the health institute, though it returned some of that money in 2014. According to Sally Rockey, the NIH Deputy Director for Extramural Research, the constant cutting-and-returning of funds means the NIH had to revise its grant program, distributing smaller grants to researchers. "Obviously it would be a lot easier if our budget was on some sort of stable trajectory, if we had something that gave us more predictability and a little growth each year," Rockey told NPR in September. 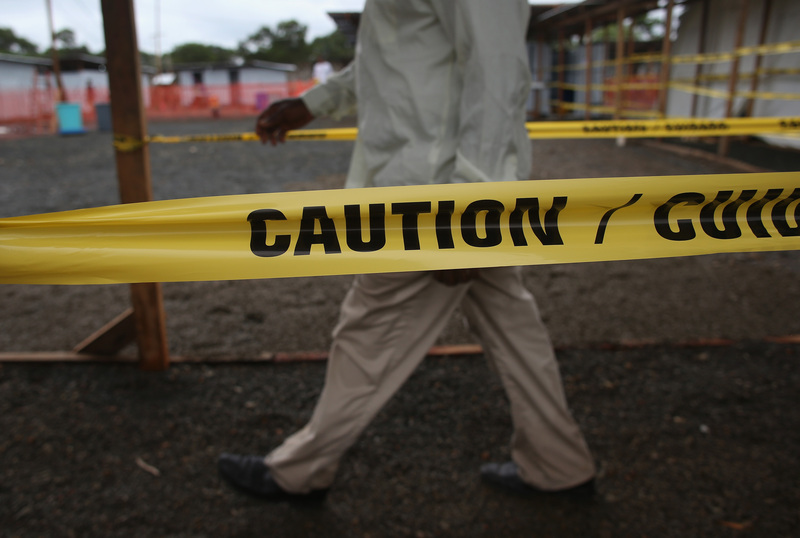 Where is the NIH at right now in its Ebola research? Collins told The Huffington Post the "dream" is to have a clinical trial start as early as December. However, we wouldn't know if the vaccine works until February or March — more than a year after the West Africa Ebola outbreak began. Medical researchers have also been working on Ebola drugs such as ZMapp, which has so far only been tested on monkeys with positive results. Like the Ebola vaccine, ZMapp has been affected by lack of sufficient funding, and the current stockpile of the experimental drug has already been exhausted. Is it possible to have doses of ZMapp by the end of the year? Don't count on it, says Collins. "We might very well by now know that it works and have a large stock of it," he said. You can, of course, thank budget cuts for that.